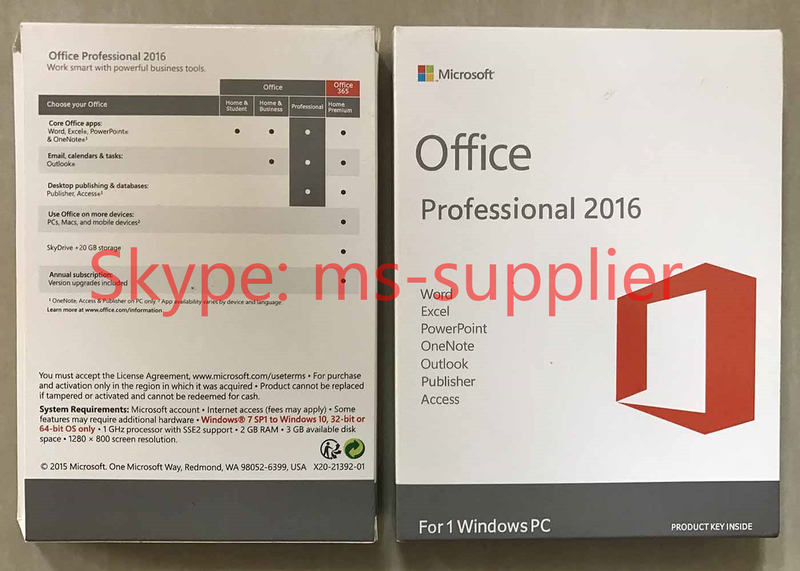 Microsft Office 2016 Pro Plus 64/32bit Digital Edition - Product Licence key Email Delivery Or By DHL / EMS shipping USB. This is License key ,If You need CD or Box contact us.. This License required contact Microsoft support to activate your Office. All product keys have been extracted from installations on PCs. All keys are checked thoroughly before dispatch.Full refund guaranteed if Product Key does not work. Our listing Complies with the Intellectual Property Copyright: We are acting as a system builder, transferring the OEM license and an original hardware to the other user. 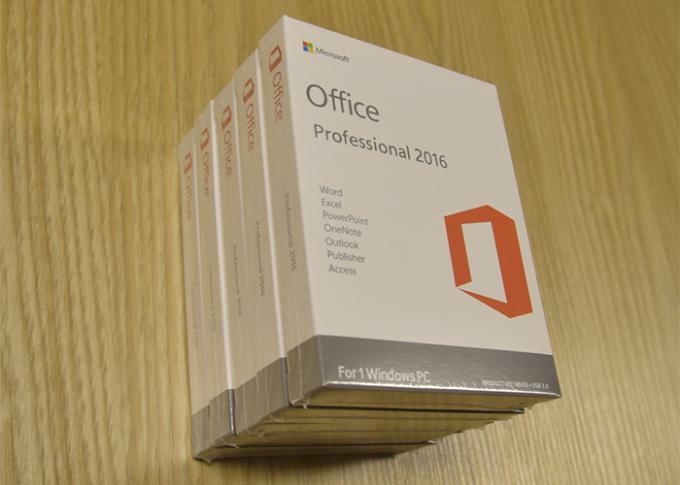 Office 2016 comes fully loaded with the latest and greatest versions of your favorite applications: Word, Excel, PowerPoint, One-Note, Publisher, Access and Outlook. All the tools you know and love, only better. Built-in collaboration tools enable you to co-author, share and edit documents with ease in Word, PowerPoint or One-Note. Work on the same document simultaneously whether you're in the same room or across the globe. Organise email, coordinate schedules and stay up to date with contacts. The new Outlook has push mail support so your inbox is always up-to-date. And improved Conversation View ensures that messages with similar subject lines don't get lumped in with conversations they don't belong to. You'll also find more options in how you incorporate and manage attachments. Create, polish, and share beautiful documents. Now sharing and collaborating with the team is a breeze. The new Word allows you to co-author and edit documents with multiple people at the same time whether you're in the same room or across the globe. And cloud integration makes sharing documents a cinch. Analyse and visualise your data in new and intuitive ways. Turn numbers into insights with the new Excel. Pivot Table Slicers help you discover patterns in large volumes of data, and Recommended Charts gives you the best charts to communicate your data. One-Click Forecasting automatically scans worksheets for data trends and formats them into charts and tables. Harness your thoughts in your very own digital notebook. Capture, organise and share your ideas with digital notebooks that you can access on any device. Find things quickly with a powerful search engine that tracks your tags and much much more. without having to save them first. Access lets you build a database fast to organise data, accessible anywhere online. Never again get "lost in the data. A standardised app framework makes navigating apps familiar and easy. Free Office Online sync with your One-Drive account, so when you are away from your PC you can access, view, edit and share your Word, Excel, PowerPoint and One-Note files from any Internet-connected device running a supported browser when you're away from home..
Q: Is there any install media sent to me? A: No, this key is validated through the Microsoft Office site, which binds it to your Microsoft Account. From there, you will be given the software to download straight from Microsoft. Q: Is anything mailed to me? Upon request, we can burn the DVDs and mail them to you at no additional charge,. Q: Why are your products sold at such a discount? A: All our products are purchased through asset liquidation sales. Multi-touch A touch-enabled device is required to use any multi-touch functionality. But, all features and functionality are always available by using a keyboard, mouse, or other standard or accessible input device. Note that touch features are optimized for use with Windows 8, Windows 8.1 or Windows 10. Additional requirements and considerations Some functionality may vary, based on the system configuration. Some features may require additional or advanced hardware or server connectivity.